On Sunday December 6th 2015, the German journal Frankfurter Allgemeine published and interesting article about wines from Ribera del Duero, where Condado de Oriza crianza, made by Pagos del Rey in Pagos del Rey winery located in Olmedillo de Roa (Burgos), was chosen as the best “crianza” wine from this appellation among 74 wines. The article makes a complete review about climate and terroir in Ribera del Duero, and also about tempranillo grapes and their characteristics in this region. In general, it describes the wines from Ribera del Duero as intense coloured and good structure. 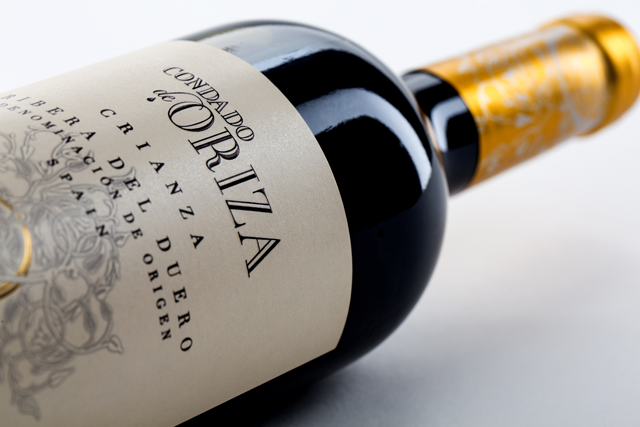 Seven judges from the art and culture areas in Germany: Johan Bettum, Michael Neser, Geunhye Yook, Dietrich Volle, Michael Couchet, Stefan Weiler and the experienced columnists Fabian and Cornelius Lange, have chosen Condado de Oriza crianza as the best crianza from Ribera del Duero. It has a nice ruby colour, with intense aromas of toast and spices, mainly cinnamon, and delicate chocolate and dark berries. Condado de Oriza crianza is made of tempranillo grapes selected from 20 year-old vineyards in the nearby of Olmedillo de Roa. It has a nice ruby colour, with intense aromas of toast and spices, mainly cinnamon, and delicate chocolate and dark berries. Flavour is full of fruit and well- integrated tannins, persistent and silky sensation. During the tasting, the wines underwent a blind tasting and at a second stage, a dinner to be paired with 10 wines. The menu of the dinner consisted of tapas, Serrano ham, beef casserole (also known in German as “Rinderragout”) with potatos and carrots and Manchego cheese; all this in wonderful atmosphere where experts discussed about the wines for more than two hours.